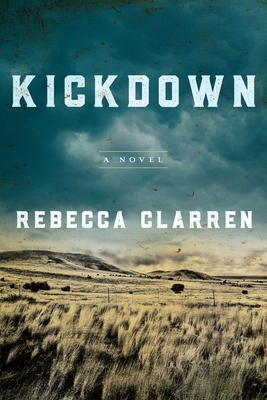 Rebecca Clarren's Kickdown is a tautly written debut novel about two sisters and the Iraq war veteran who steps in to help. It is a timeless and timely meditation on the grief wrought by death, war, and environmental destruction. Kickdown, like Kent Haruf's Plainsong or Daniel Woodrell's Winter's Bone, weaves together the threads of land, family, failure, and perseverance to create a gritty tale about rural America. Award-winning journalist Rebecca Clarren has been writing about the rural West for nearly twenty years. Her journalism, for which she has won the Hillman Prize and an Alicia Patterson Foundation Fellowship, has appeared in such magazines as MotherJones, High Country News, The Nation and Salon.com. Kickdown, shortlisted for the PEN/Bellwether Prize, is her first novel. She lives in Portland, Oregon. with her husband and two young sons. "Kickdown is an important, urgent novel. It's about ecological destruction, but it's also about resistance, compassion, and love. Rebecca Clarren vividly depicts the beauty and the toughness of the American West in this timely, extraordinary debut." —Carter Sickels, author of The Evening Hour, winner of the Lambda Literary Emerging Writer Award and a finalist for the Oregon Book Award.